In 2002, Japanese carmaker Honda decided to discontinue the Passport but it made a return at the 2018 Los Angeles Auto Show. 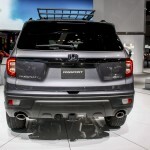 The Honda Passport will fill the gap between the CR-V and the Pilot. The best thing about the current Passport is it was designed exclusively by Honda and it won’t be a rebadged Isuzu like the former model. 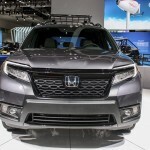 Based on Honda’s Global Light Truck platform, the new Passport shares the same body construction, underpinnings, and drivetrain components with the three-row Pilot and the Ridgeline pickup trucks. 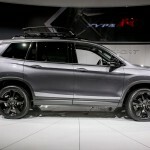 The Honda Passport stands out from the rest of the Japanese carmaker’s smaller SUVs, but it did borrow design elements from the bigger Pilot such as the headlamps and the small turn signals. Honda thankfully made an effort for the Passport to stand out by gifting it with a mesh with small, oval outlets and black trim at the top for its grille. 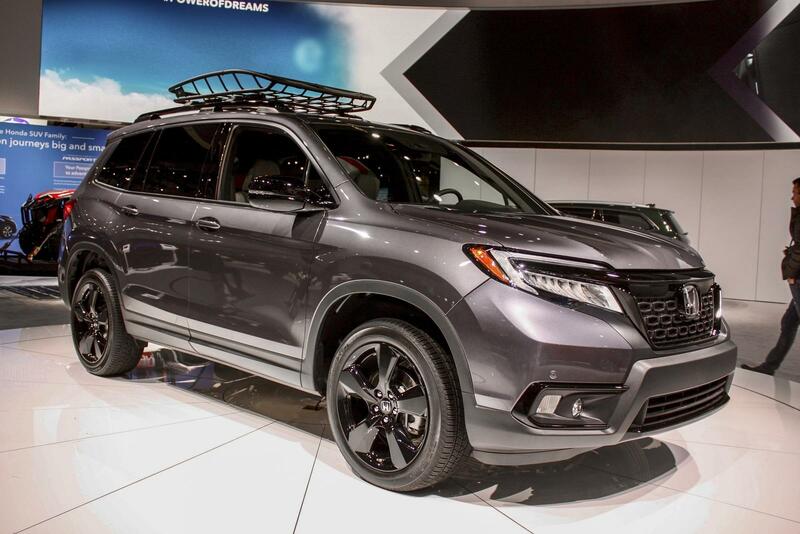 This gives the crossover a more rugged look that fits its outdoor-type personality. 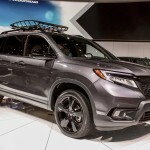 The Passport can also be set apart by the number of accessories Honda is offering it with such as roof boxes of various sizes, a roof basket, and a roof-mounted bike, kayak, and ski or snowboard racks. Inside, the Passport offers the roomiest space for passengers at 115.9 cubic feet. The total interior volume is 157.1 cubic feet plus a large, 2.5-cubic-foot segmented underfloor cargo compartment to carry your dirty gear or to keep valuables out of sight. The trunk has a total of 41.2 cubic feet of luggage room, too. The Passport’s dashboard looks exactly like the Pilot’s with the infotainment system sitting between the rectangular AC vents and the rest of the center stack wrapped in black trim that extends to the passenger side and the steering wheel. Again, the Passport and the Pilot share the same platform and the same engine. The Passport arrives with a 3.5-liter V-6 that makes the same 280 horsepower and 262 pound-feet of torque. 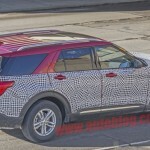 This placed the Passport above most of its competitors (the Subaru Forester and the Nissan Murano). The V-6 engine is paired with Honda’s nine-speed automatic transmission. 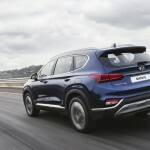 As standard, the Passport has a two-wheel drive system but you can choose an all-wheel drive. The next-generation Mercedes-AMG A 45 will once again be the most powerful hot hatch when it arrives in 2019. Officially, it will dethrone the 394-horsepower Audi RS 3. Within the Mercedes lineup, the A 45 will be the top of the range even after the launch of the standard A-Class and the 302-horsepower AMG A 35. Mercedes has now given us a hint of what’s to come in a Christmas-themed teaser video released on the Mercedes-AMG channel on YouTube. In the video, the A 45 showed off its power on a cold and slippery test track, demonstrating its versatility through plenty of oversteer and cone-crushing. On the front and rear, we can see the extended wheel arches, along with the quad exhaust pipes and the large roof spoiler that signifies the A 45 as the new performance flagship of the A-Class range. AMG experienced huge success with the previous A 45, which produces 376 horsepower. This pushed AMG boss Tobias Moers and his team to develop a new car using the A-Class architecture. Back in 2017, Moers told Auto Express said that they are working on a new model from an entirely blank page, which means this new A 45 will not be similar to anything that AMG has in its lineup. The previous AMG A 45 was once the world’s most powerful hatch, thanks to its 2.0-liter four-cylinder turbo that makes only 355 horsepower when it was launched but was eventually upgraded to 376 horsepower. 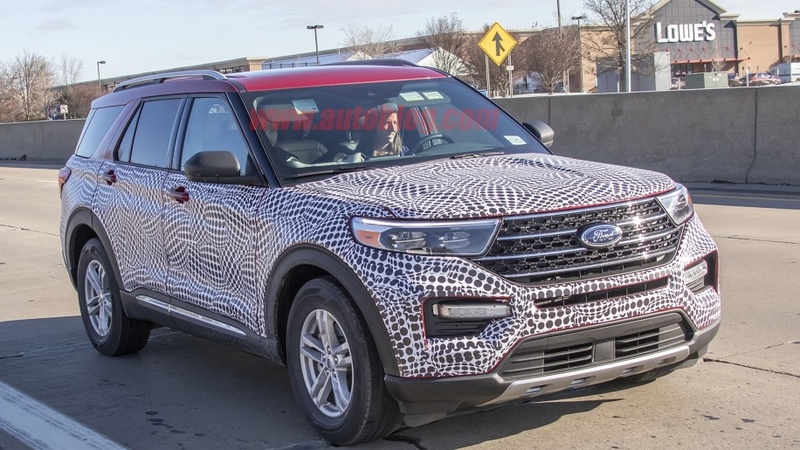 Like its predecessor, this new model will have a four-wheel drive and dual-clutch gearbox. The performance and output alone will pit this against the Audi RS 3 and the BMW M2 Coupe. There is a range of updates that can be found in the newest RX and NX SUVs by Japanese luxury carmaker Lexus. 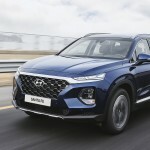 For the 2019 model year, the large and the mid-size SUVs, the Lexus RX and the NX, respectively, will receive a range of new trim and technology. Lexus’ three-tier trim structure will dominate the changes in the SUVs. The structure gives customers the option to choose a base model (RX or NX), a mid-range model (F Sport), and a top-of-the-line (Takumi). The Lexus RX, the base model, will come with 18-inch alloy wheels, leather upholstery, heated and cooled front seats, an eight-inch infotainment system, and front and rear parking sensors. 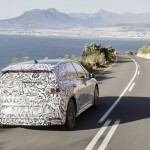 There’s only one engine available for this range and it’s going to be a 3.5-liter V-6 petrol-hybrid that makes 308 horsepower and is fuel efficient at a rate of 37.4mpg. The RS F Sport models add a heated steering wheel, adaptive suspension, a powered hands-free tailgate, an aluminum pedal set, F Sport steering wheel and a revised grille. It has a starting price of £55,200 ($69,800), sans options. The range-topping Takumi models, on the other hand, will come with a hefty price tag of £61,700 ($78,000). 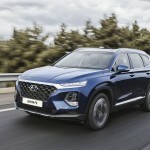 That price will get you power-folding and heated rear seats, a head-up display, a 15-speaker Mark Levinson stereo, blind spot monitoring system, automatic LED headlights and memory settings for the electric seats, steering wheel, and door mirrors. The new NX has the same trim levels as the RX with the base model arriving with standard features such as 18-inch alloys, heated front seats, and an eight-inch touchscreen display. 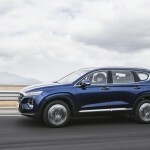 A 2.0-liter turbocharged four-cylinder petrol-hybrid that produces 192 horsepower will be its powertrain. Economy fuel rating is pegged at 54.3mpg. Finally, the NX F Sport has a starting price of £41,500 ($52,530) and adds an F-Sport steering wheel, a set of F-Sport 18-inch alloy wheels, a range of F-Sport exterior styling details, LED headlamps, a powered tailgate and leather upholstery. The Takumi trim is priced at £45,500 (57,590) and comes with a panoramic roof, heated and ventilated front seats, a head-up display, a 14-speaker Mark Levinson stereo, blind spot monitoring, and a 360-degree view camera. 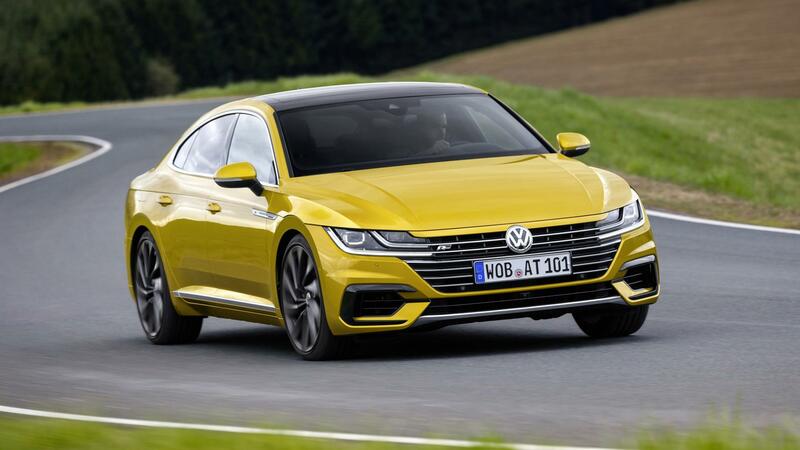 German automaker Volkswagen updated its flagship saloon, the Arteon, with a more powerful turbocharged 2.0-liter four-cylinder engine that makes 268 horsepower. Available now, prices start at £39,065 ($49,500). The new engine of the Volkswagen Arteon not only produces a more powerful 268 horsepower, but it also brings the torque to 350Nm. The output is sent through a seven-speed DSG automatic transmission to an all-wheel-drive system that comes as standard. It brings to the car from 0 to 62 mph in 5.6 seconds, and provides a top speed of 155 mph. The increase in power and the addition of an all-wheel-drive system will not make the Arteon any less efficient than it was originally made. According to Volkswagen, the new Arteon will still achieve a whopping 40.4mpg on the combined cycle while emitting just 160g/km of carbon dioxide. 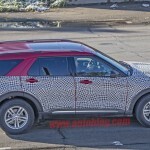 The four-wheel-drive system has not affected the cabin space, too. This new and more powerful Arteon will have its predecessor’s 563 liters of boot space with rear seats in place. When the rear seats are towed, it’s a completely different story as the Arteon will get 1,557 liters of space. There are still two trim levels—the Elegance and the R-Line. Both trims can get the new powertrain. 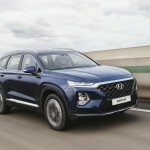 For the Elegance trim level, the price will start at £39,065 ($49,500) and will standard with 18-inch alloy wheels, a 12.3-inch infotainment system, adaptive cruise control, and self-leveling headlights. The R-Line models are more expensive at £39,850 ($50,400) but that price gets you 19-inch alloy wheels, R-Line bumpers, R-Line badging, and R-Line sports seats. Will The US Get The Arteon? Americans waiting for the Arteon may have to wait a little while longer. Back in September, reports said it was the delay in the certification process that was hindering the sale of the Arteon in the US. The delay was not related to the Arteon but to the backlog in meeting WLTP world emission testing. 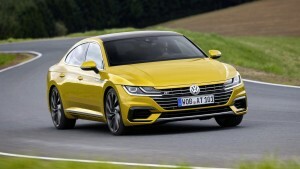 VW said back then that the Arteon might be released in America during late fall/early winter. Well, it’s early winter right now and it’s the holiday season. People are looking for an excuse to splurge on themselves. We haven’t seen any sign that an Arteon will go on sale here soon. Stay tuned for more details. 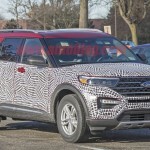 Ford is scheduled to reveal its 2020 Ford Explorer on January 9 at the Ford Field in Detroit. 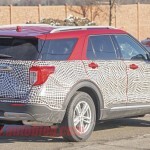 But before that, there will be an offsite unveiling on Thursday, about a week before the 2019 North American International Auto Show in Detroit. 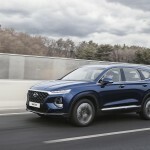 The new SUV will have an evolutionary look and will ride on a new rear-wheel-drive platform called the CD6 architecture. 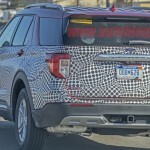 This platform is being shared with the 2020 Lincoln Aviator, which was shown last month at the 2019 Los Angeles Auto Show. 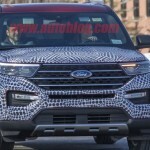 There were no confirmations from Ford regarding the Explorer’s powertrains but a leak in August showed the ordering guide that detailed the SUV’s powertrains. 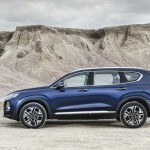 The guide said the engine choices would be a 2.3-liter turbo-4, a 3.3-liter V-6, and a 3.0-liter twin-turbo V-6. 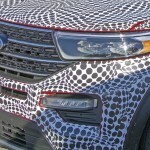 The 3.3-liter V-6 will be available with or without a hybrid system as Ford shifts to more economical setups. 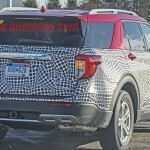 The engines are most likely going to be paired with a 10-speed automatic transmission. 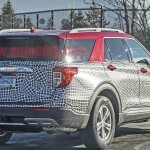 An all-wheel-drive system will also be available. 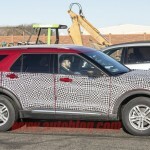 The 3.0-liter twin-turbo V-6 engine has already been tested. This is the same engine being used by the Michigan State Police for testing. 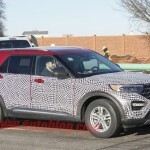 This powertrain will make the Explorer the quickest police vehicle in America. 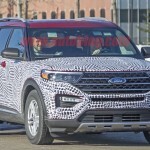 For fuel efficiency, Ford plans to offer the hybrid version of the 2020 Explorer to those in patrol duty. It is the standard Explorer that will make its debut in January but Ford is also planning to release another trim level of the car called the Explorer ST. 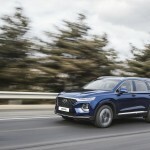 This variant is the performance-oriented version of the SUV and it will follow in the footsteps of the Edge ST, which was launched this year. 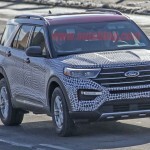 The Explorer ST will be edging out the Explorer Sport model in Ford’s bid to revamp its lineup to introduce sportier crossover SUVs. Former Nissan chief Carlos Ghosn will have to spend his Christmas and New Year’s Eve in a Tokyo jail without the possibility of receiving visitors as fresh allegations surfaced that he made the carmaker shoulder $16.6 million in personal investment losses. On Sunday, a Tokyo court ruled that Ghosn can be held for another 10 days without bail after his rearrest on Friday on charges of breach of trust. The former Nissan chief has been detained for the past five weeks on charges that he underreported his income. The breach of trust allegations is an additional charge. Japanese prosecutors petitioned the court to extend the detention to 10 days without bail. They were granted that petition. During the 10-day period that ends on January 1, Ghosn cannot welcome regular visitors, except for his lawyers and consular officers from countries where he holds citizenship. 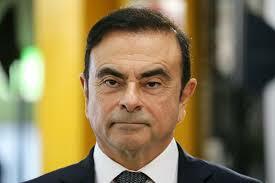 Ghosn is a Brazil-born businessman who also has French and Lebanese citizenships. He served as the CEO of Michelin North America, chairman and CEO of Renault, chairman of AvtoVAZ, chairman and former CEO of Nissan, and chairman of Mitsubishi Motors. Ghosn’s arrest in Tokyo last month shocked the auto industry. It also strained the partnerships he built between Nissan (NSANY), Renault (RNSDF), and Mitsubishi Motors (MMTOF). After his arrest on November 19, Nissan fired him as its chairman but Renault appointed interim management, keeping Ghosn on the payroll. Prosecutors alleged that around October 2008, during the global financial crisis, Ghosn shifted personal trades to Nissan, making it responsible for about 1.85 billion yen ($16.6 million) in appraisal losses. This move inflicted damage on Nissan by having it pay up a total of $14.7 million between June 2009 and March 2012. His first confinement to the detention center was due to the initial allegations of financial misconduct wherein he reportedly underreported his income between 2010 and 2015. If proven guilty, Ghosn is facing a possible maximum prison sentence of 10 years. Prosecutors are also alleging him to have continued this practice in 2017 but they haven’t charged him yet. Land Rover has given us a definitive teaser and a look into the all-new 2020 Land Rover Defender. It looks like we won’t have to wait too long to see the new Defender as Land Rover released a teaser photo of the boxy machine all wrapped in camouflage and driving into a transport truck. 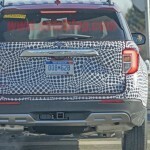 There are at least two dates mentioned on the teaser that makes it fairly clear the SUV will be unveiled next year. 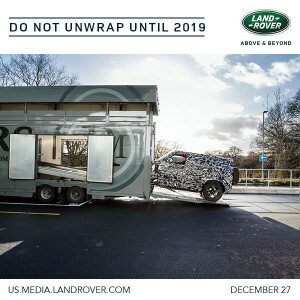 Most prominent is the phrase “Do not unwrap until 2019,” which is a play on words referring to the holiday season and the camouflage wrap on the Defender. This makes us feel fairly certain that the Defender will be released next year. 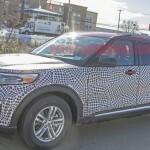 However, the company has been pretty lax in showing off the car in camouflage in public lately, so that might be a sign that we’ll be seeing the new Defender very soon—maybe even by the end of the auto show season in New York in April. More information should be available by December 27. 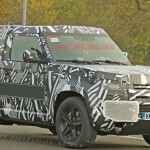 A Land Rover representative said that the company will release more details about the 2020 Land Rover Defender on that day. Of course, it won’t be a full reveal yet but we’re hoping to see the Defender in all of its teaser glory, which means no camouflage, please. Then again, the representative may not be talking about sightings of the Defender at all. 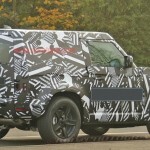 “More information” may also mean that the company will give us the full details on the reveal date, as well as more photos and videos of the still camouflaged Defender. 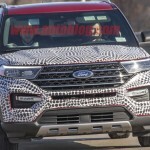 We’re also quite interested in the tailgate-mounted spare tire we have seen on the heavily camouflaged Defender, so we’d love to have more details about that by the end of this year. 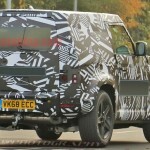 So far, what we know about the new Land Rover Defender is that it will remain true to its boxy roots of models past, it will be available in either a two-door or four-door variant, it will use a fully independent suspension front and rear, and it will probably use a combination of Jaguar-Land Rover engines that will include a gas and diesel turbo four-cylinder engines. The refreshed 2019 Nissan Murano gets a slight price increase of $270 from the previous model. 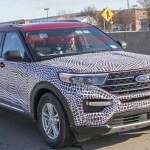 It now starts at $32,315, which makes it more expensive than the $30,990 base model of the Ford Edge. 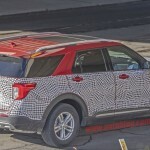 The two models have been refreshed for the 2019 model year with an upgraded exterior and interior design. There are also other exciting new features. 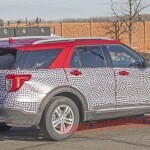 Standard to the Murano is an 8.0-inch display, Apple CarPlay and Android Auto, and 18-inch aluminum alloy wheels. All models come with a 3.5-liter V-6 engine that makes 260 horsepower. An all-wheel-drive setup can be had for an additional $1,600 in any trim level. The SV trim level brings more features that are engineered to provide comfort and luxury to the owner. 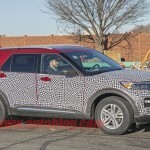 It has a remote engine start, leather-wrapped steering wheel, blind spot warning, rear cross traffic alert, and 10-way driver and four-way passenger power seats. Prices for the SV trim level start at $35,485, up by $140. The SL trim adds 20-inch wheels, navigation, leather-appointed seats, adaptive cruise control, heated front, and rear seats, and other cool features. To get the SL trim, you need $40,275, which is an increase of $530 than the 2018 model. At the top of the lineup is the Platinum trim. Standard to this trim level is a power panoramic moonroof and new diamond-quilted leather-appointed seats. 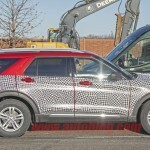 It’s priced at $44,575, up by $1,100 than the model from the previous year. This trim also features a new suite of technologies that includes automatic emergency braking with pedestrian detection, blind spot warning, lane departure warning, rear cross traffic alert, high beam assist, and rear automatic braking. These are also available on the SL trim if you choose to have the Technology package. 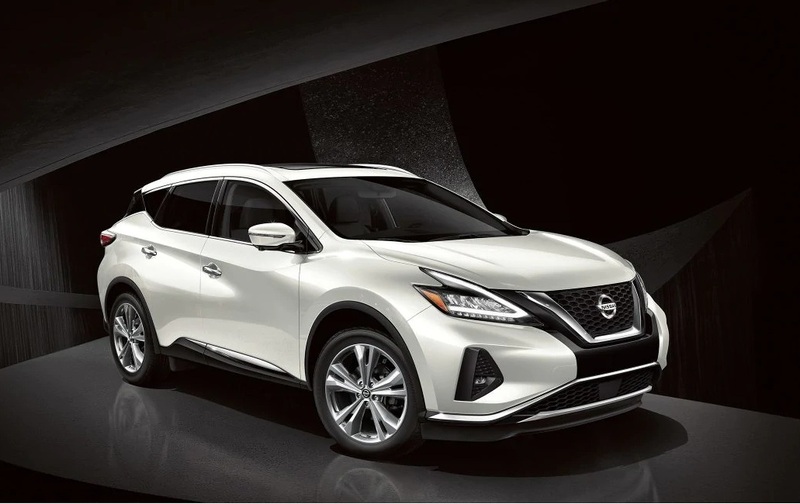 The 2019 Nissan Murano is expected to open its sales book today, December 20. 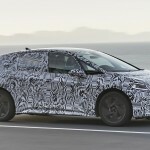 The 2020 Volkswagen ID Neo has been spotted testing in its prototype form. The ID Neo will be the first model under VW’s family of ID electric cars. 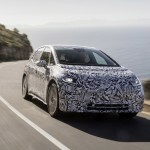 The arrival of the ID Neo comes in an opportune time as VW plans to transition its company to an electric car manufacturer. There are no questions in our minds that the all-new ID Neo is going to be a compact hatch that looks like straight off the minivan newsletter. 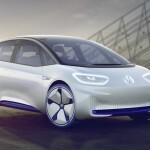 We’ve already seen this in 2016 as VW allowed a preview of its ID Neo Concept whose production version is scheduled for a late 2019 showdown with the rest of its competitions. 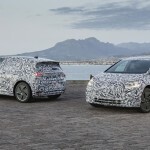 Buyers will be sad to know that the first model of Volkswagen’s ID cars is not going to be available in the US. 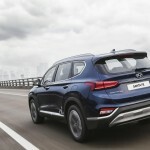 What VW did is to introduce an entirely different line of ID cars in America, specifically a small crossover SUV based on 2017’s ID Crozz concept. That should arrive sometime in 2020. Another “spiritual successor” to VW’s Microbus that is based on 2017’s ID Buzz concept is also a possibility. This is scheduled for a 2022 introduction and will likely be joined by a commercial version. We should not be surprised that the ID Neo will have a rather traditional design. 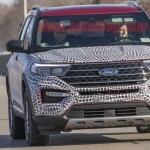 The design elements are very similar to what we saw on the concept, though the production version is going to use conventional side mirrors rather than the concept’s camera-based system. 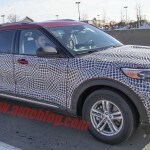 It will also come with conventional door handles to replace the concept’s electric mechanism. 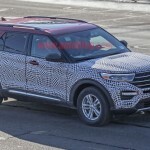 The vehicle’s single-electric motor at the rear axle will produce around 167 horsepower and multiple battery options that can go the distance—between 250 and 370 miles in range. 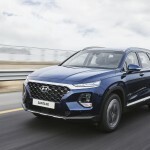 Those who are waiting for the arrival of the 2020 Hyundai Santa Fe Diesel will be sorely disappointed with this new development: Hyundai said its first model to feature a diesel engine won’t be coming to US soil, after all. 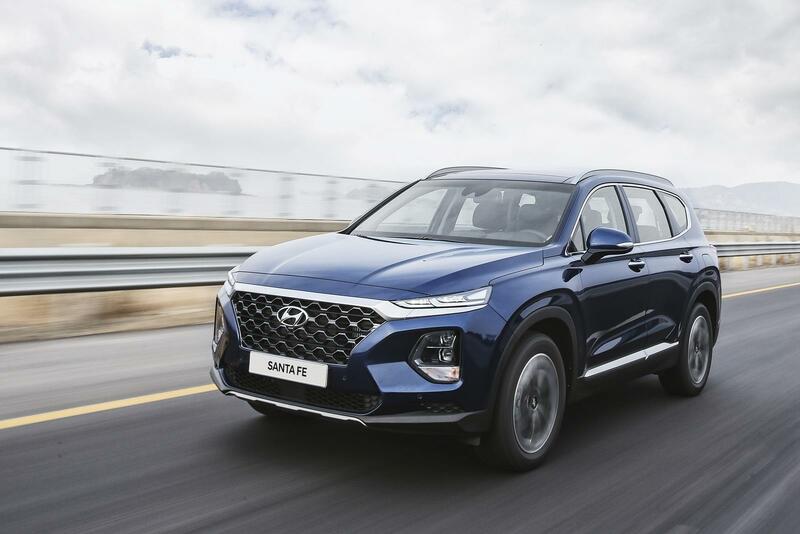 Worse, the three-row Santa Fe, which will be made exclusively with a diesel engine, is not going to be part of Hyundai’s lineup for America. 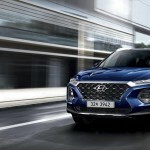 Initially, Hyundai planned to offer the Santa Fe with a 2.2-liter diesel engine as an option for the 2020 model year. But things have changed and the South Korean company is no longer keen to continue down this path. 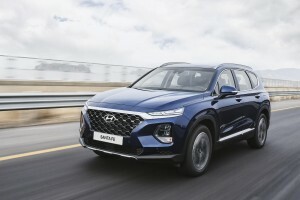 Brandon Ramirez, Hyundai’s spokesman, told Green Car Report, as quoted by Top Speed, that studies found out the consumers’ reluctance to have a turbo diesel engine in a crossover. But that’s not all. 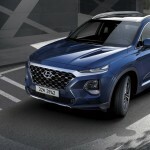 The low gasoline prices and the shift toward electrification, especially in the United States, also contributed to Hyundai’s decision to back down from its initial plan. Many car companies, after all, have started offering electric cars instead of gasoline and diesel options. 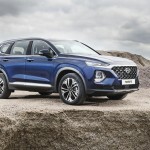 Hyundai won’t be letting the crossover segment in the US get away from them, of course. 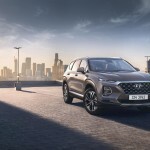 If you have your eyes on a seven-seater crossover SUV, you can get the 2020 Hyundai Palisade instead. 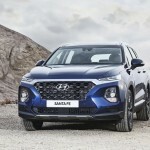 It makes sense for Hyundai to move to this direction as it has already planned to replace the Santa Fe XL with the Palisade in 2020. 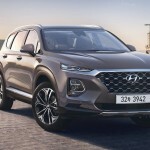 Since the diesel option has been officially scrapped from the South Korean firm’s future plans, we can see Hyundai working to fit the Santa Fe with a plug-in hybrid unit in the near future. This has been the trend for many automakers today with only GMC Chevrolet, Land Rover, and Jeep offering diesel options for their models.